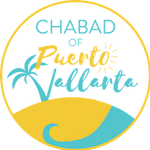 PUERTO VALLARTA PASSOVER 2019 APPEAL - CLICK TO DONATE NOW! With utmost dignity and respect the deceased is washed and then dressed in Tachrichim, the traditional burial shroud. Prayers are recited, asking that forgiveness and eternal peace be granted to the departed. This process is the essence of the Jewish funeral. This beautiful tradition expresses the reverence we feel for the body as the receptacle of the Neshama, the G-D given soul. In the belief that the soul is still aware until after the burial, the body is treated gently and with sensitivity. In mature acceptance of the reality and the finality of death, while tradition insists that the body be as presentable as possible, no attempt is made to cosmetize or to create a life-like appearance through artificial means and devices. Who should have a Taharah? Every Jewish person, regardless of affiliation or level of religious observance should have a Tahara. Like the Bris (circumcision), the Bar and Bat Mitzvah at maturity, Taharah is the universally accepted religious act that completes the Jewish life cycle. How to arrange for the Taharah? The Rabbi has arranged a package with San Jose funeral home in Puerto Vallarta, by choosing the "Jewish Package" you will be assured that all of the Jewish customs are adhered to, which include the Tahara, a Jewish casket, and a Jewish funeral service amongst other things.